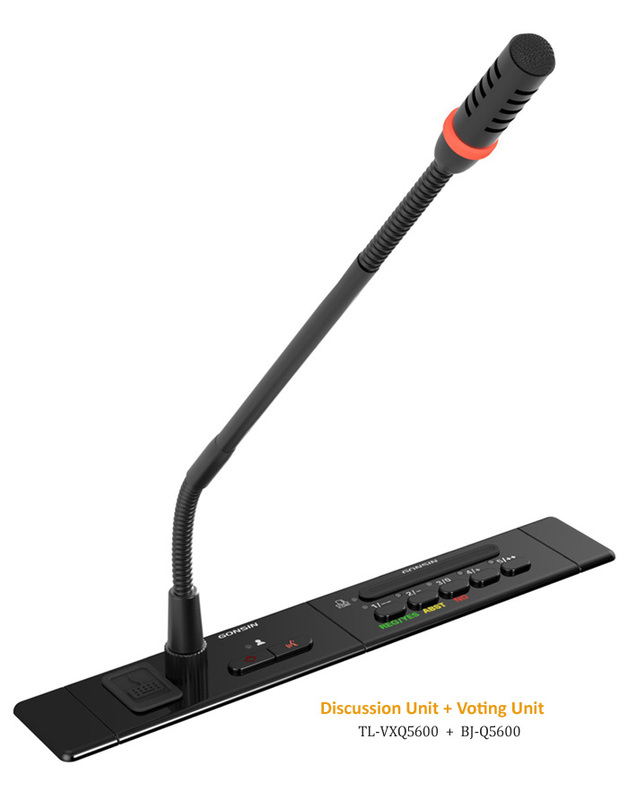 TL-VQ5600+TC-Q5600+BJ-Q5600/BJ-K5600 Discussion, Voting and Interpretation System offers a flushmount conference solution for microphone discussion, interactive voting, simultaneous interpretation, language distribution, video tracking and software control. 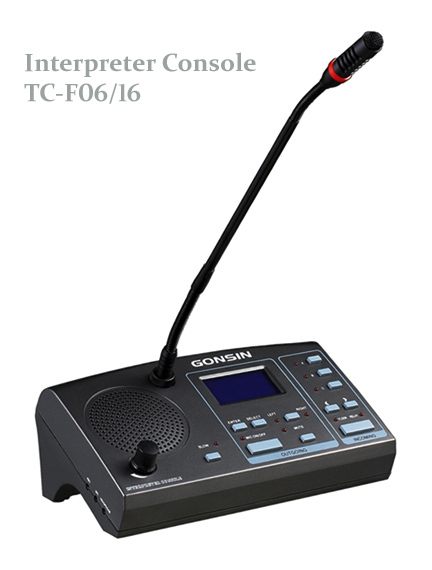 Flush discussion unit allows the delegate to talk and request to talk. 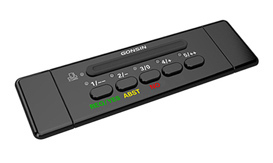 Handheld voting keypad and flush voting unit can be used for attendance, voting, election, evaluation and grading. 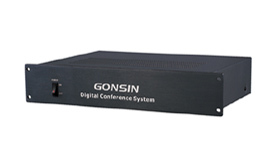 Flush channel selection unit is available with 6 channels for the delegate to hear the selected channel through a personal headphone. Volume control buttons can be used to adjust the headphone volume level for comfortable listening. 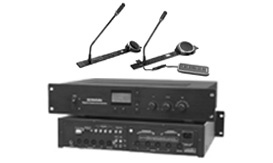 Flush loudspeaker can be added to meet the venue needs. 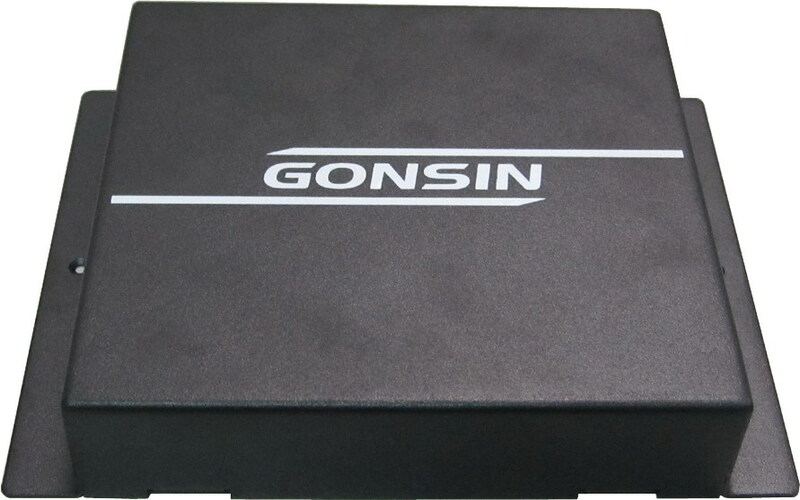 Built-in expansion port of the discussion module is designed for plug-and-play handheld module.It becomes easier to upgrade the system and extend more features when necessary in the future. 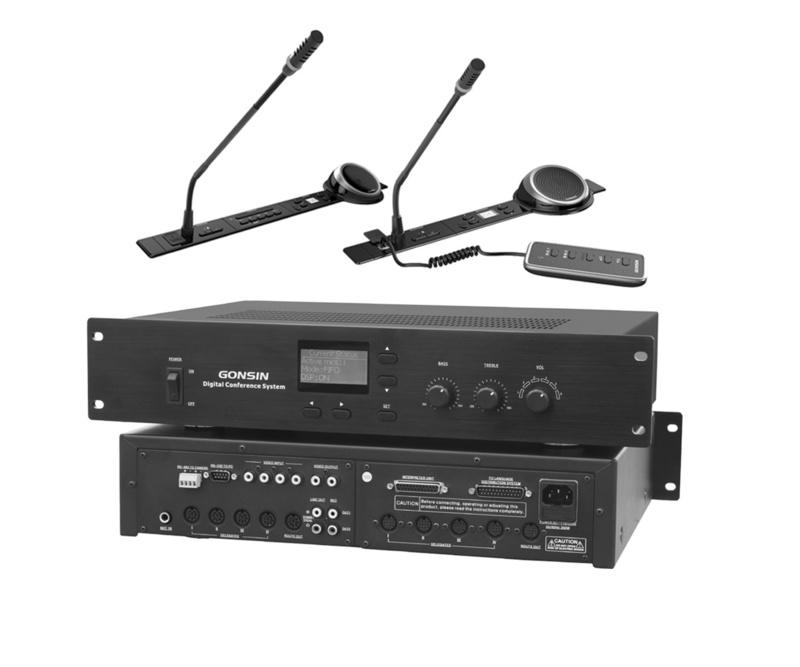 central control unit, extension unit, discussion unit, handheld voting keypad or flush voting unit, channel selection unit, loudspeaker, connector(conjuntion box), interpreter console, conference management software, dome camera, computer, sound equipment and display equipment. 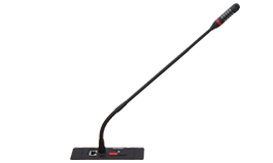 LED indicator and MIC light will blink when attendance is to be registered. LED indicator will light on when attendance is successfully registered. VOX sensitivity and mic time-out are adjustable. Automatic video tracking, with preset position for panorama view. The flush voting unit allows the delegate to register attendance and cast a vote for YES/NO/ABST, evaluation and election. Votes are counted automatically and the result is shown on display equipment such as large screen, projector/screen and white board. Results can be printed out or saved in CD. LED indicator to show working status for attendance and voting. 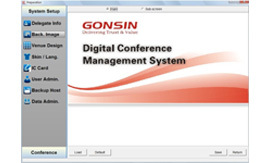 Voting and evaluation options are defined by system software. Attendance registration: by IC card, microphone key press and late registation. Whole number, the present and the absent delegates can be counted and displayed. Voting: YES/ABST/NO. 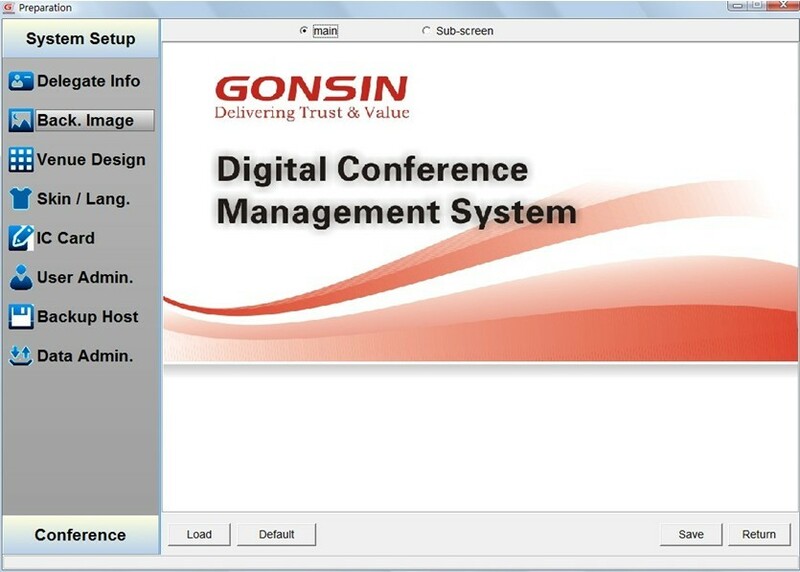 Voting method can be defined by the system software. Vote count and result display are enabled automatically by PC. Election: elect one or more out of multiple candidates, with 'competitive election', 'equal number election' and 'quick election'. Evaluation (opinion polls): Best, Good, Fair, Poor. Evaluation method can be defined by the system software. When attendance is registered by IC card, green LED indicator will blink. For card error and invalid card, red LED indicator will light on. Green LED indicator will light on after attendance is registered. LED indicator will blink to request for voting. LED indicator will light on for 3 seconds after a vote is casted, and then all LED indicators will be light off. 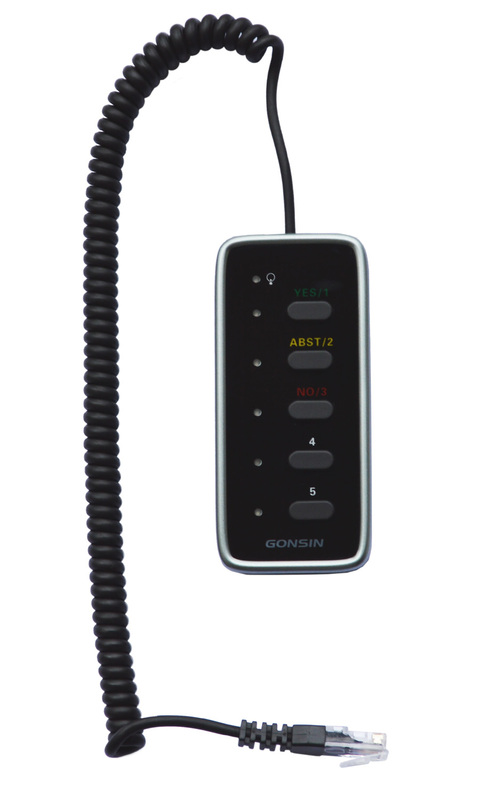 Connecting the discussion unit via RJ-45 port, the handheld voting keypad allows the delegate to register attendance and cast a vote for YES/NO/ABST, evaluation and election. Votes are counted automatically and the result is shown on display equipment such as large screen, projector/screen and white board. Results can be printed out or saved in CD. Voting: YES/ABST/NO. Vote count and result display are enabled automatically by PC. Evaluation (opinion polls): Best, Good, Fair, Poor. LED indicator will blink to request for voting. LED indicator will light on for 3 seconds after a voting is casted, and then all LED indicators will be light off. 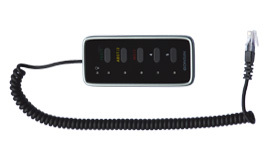 The wired flush channel selection unit provides high immunity from interference and high security against unauthorized listening. 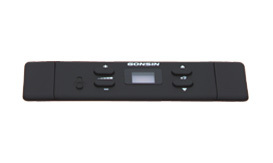 Each unit comes with headphone jack and volume control so that the delegate can hear any selected channel on a personal headphone, and adjust volume level for comfortable listening. 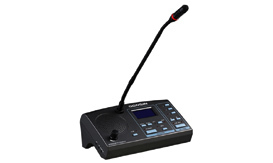 Loudspeaker volume level can be adjusted individually, or centrally by CCU and displayed on LCD. Selected channel number is shown on LCD. 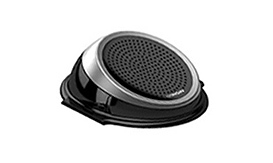 The flush loudspeaker delivers natural and clear sound. 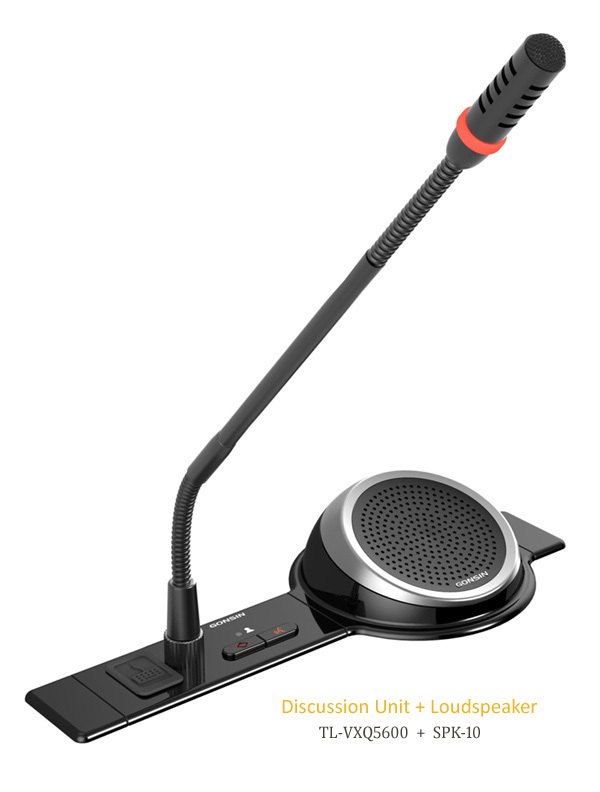 When it is used with the flush discussion unit, a smaller conference can be held without any external sound equipment. 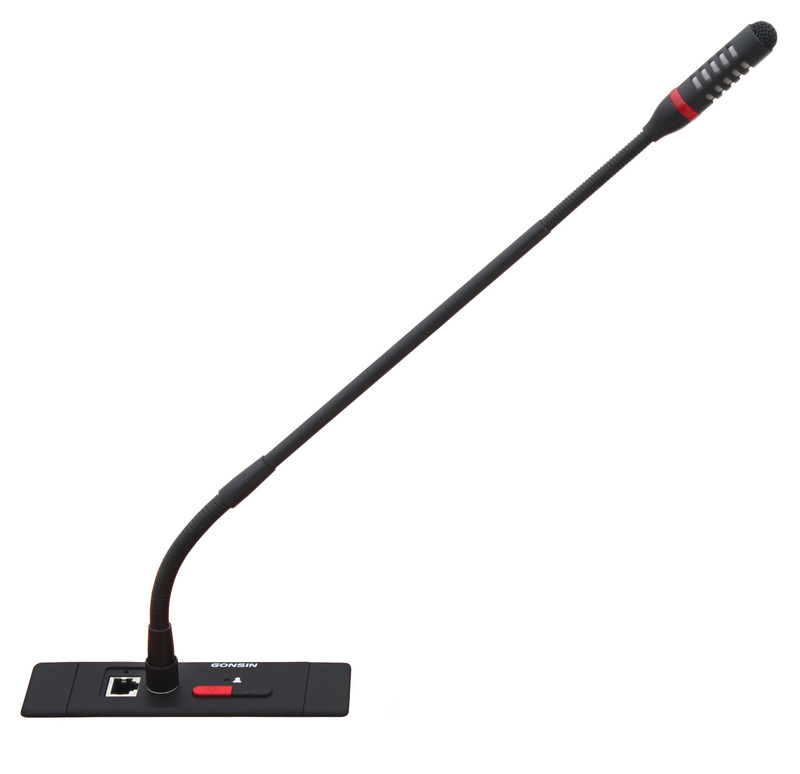 Used with discussion unit for delegate to hear the speech from other participants. 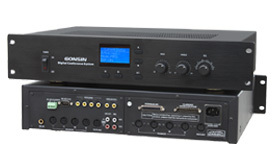 ZJ-KR extension unit connects the central control unit via an expander cable. 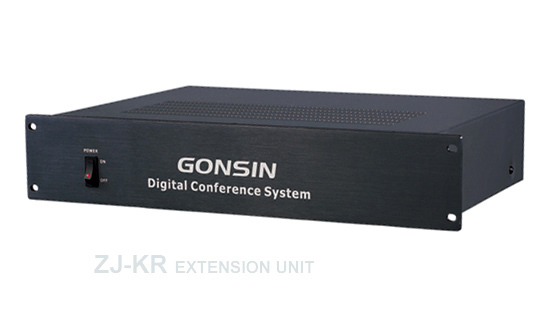 Multiple units can be cascaded together to support 200 conference units on one central control unit.